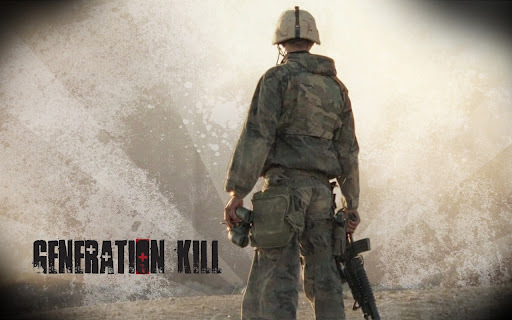 While watching rerun’s of HBO:s acclaimed miniseries Generation Kill it occurred to le how shockingly easy it is to draw parallels between dysfunctional army management and modern day software engineering. Further the way from action the decisions are made, worse they are and worse the outcome. In war you endanger lives of soldiers and civilians and unfortunate casualties include livelihood of locals and lives of children and women. Junior soldiers carry out orders with sometimes disastrous results. Seniors know better and from time to time question orders, but are left with dilemma – carry them out or refuse and possibly face disciplinary actions. It’s a decision they have to live with for the rest of their lives. Software engineering is not much different, but the outcome is of course less dramatic. Bad decisions made without proper understanding of the situation at hand still lead to unwanted and sometimes catastrophic results. Only difference is that in software engineering casualties include motivation, professionalism, team spirit and in worst cases – careers. Posted on 05/06/2012, in Agile, Software. Bookmark the permalink. 3 Comments. I’d disagree on your last point. I’m a software engineer. I was once on a data migration project using grossly inadequate tools. It was the nature of the development environment that losing my concentration for a moment might result in me making a mistake, and that mistakes were very difficult to spot. Moreover, mistakes might trash data in ways that at best would necessitate a large amount of remedial work, and at worse might never be spotted. My understanding was that some of the data was safety critical – meaning that errors in the data might get people killed. I quit that job with the thought that I absolutely had to get out of software development. I sincerely hope that destroying my enjoyment of my work will be the worst casualty of that project, but I suspect I’ll never know. Thanks for your comment and anecdote. Surely this post was a rather obvious generalisation and your case sounds like a quite an extreme situation. Hopefully the worst case never materialised, but like you said, we’ll probably never know. Maybe over time you manage to recover at least the ability to enjoy your work. Cheers. Actually, my enjoyment of programming came back pretty much as soon as I got out of that organization – so at least in terms of my career I don’t think there’s any harm done.